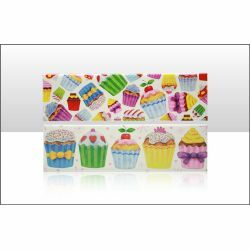 Attractive and colourful assorted cup cakes printed onto an oblong magnet. These will brighten many a home. Supplied with two assorted designs. Special offer discount! Limited stock - do not miss out.